When searching for gutter replacement or gutter installation services in Durham NC, look no further than the gutter contractors from Gonzalez Painters & Contractors. Contact us for a free consultation on gutter replacement, gutter installation, and gutter protection systems. The main purpose of gutters is to protect a building’s foundation by channeling water away from its base. 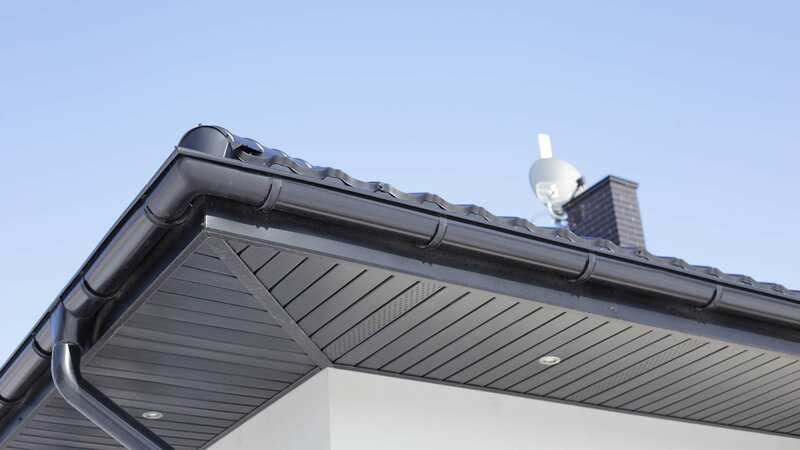 The gutter also helps to reduce erosion, prevents leaks in basements and crawlspaces, protect painted or stained surfaces by reducing exposure to water. Gutters and gutter covers prevent roof damage, keep your home clean, prevent pest infestations by avoiding moisture build-up, and protect wood decks and more. Gutters are an important part of protecting your home investment. At Gonzalez Painters and Contractors, our gutter contractors are specialists, able to provide comprehensive gutter replacement services, gutter installation services, and gutter protection systems. Gonzalez Painters and Contractors takes pride in our custom gutter installation, so your new gutter system will not only divert rain away from your roof, but will also blend into the exterior design of your home. Downspouts, gutters and gutter covers can all be customized in color and material to produce a seamless look. Our high quality gutters make your house look distinguished and well maintained. Furthermore, our seamless gutters are rust proof and are warranty protected. The gutter contractors from Gonzalez Painters & Contractors are here to provide all of your gutter replacement, gutter installation, and gutter protection system needs in Durham NC and surrounding areas we serve. Our gutter installation and gutter replacement services are second to none, and we provide other professional services for the exterior of your home, including roofing repair, siding replacement, and exterior painting, as well as interior services like interior painting and drywall repair. Contact our gutter contractors for a free estimate today in Raleigh, Hillsborough, Cary, and Durham NC. Contact us online or call or text 919-295-2771.